Here it is, the big one! I can’t stress how stupidly massive this sword is, I’m fairly certain it’d look quite normal being wielded by a Perfect Grade sized kit. 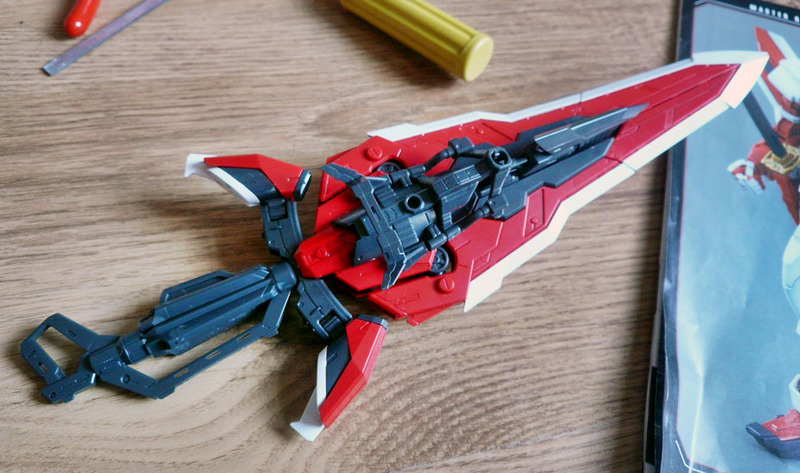 Being a beast of a sword with tons of transformation options, it’s no surprise that it contains more pieces than any other part of the kit. I’ll go into the different forms in detail when I review the kit as a whole. The handle is a beam torch which can be used separately. 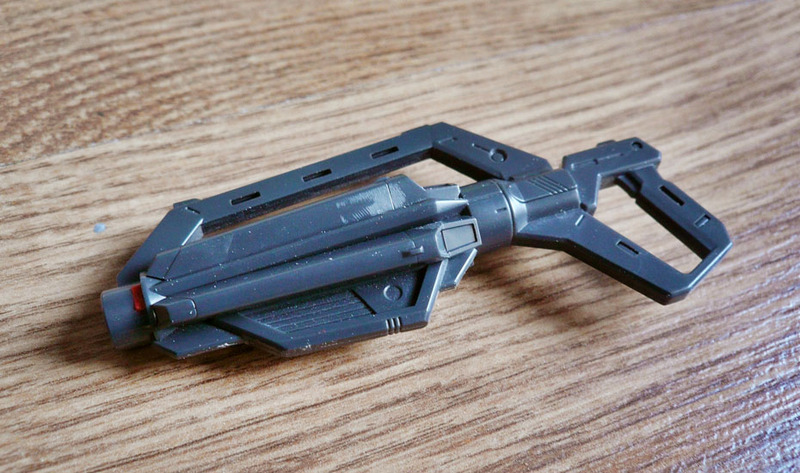 Pretty simple but eye catching design, reminds me a little of Helghast weaponry from Killzone. And the front view. The sword can also attach to the backpack using the round plug in the center of the picture. 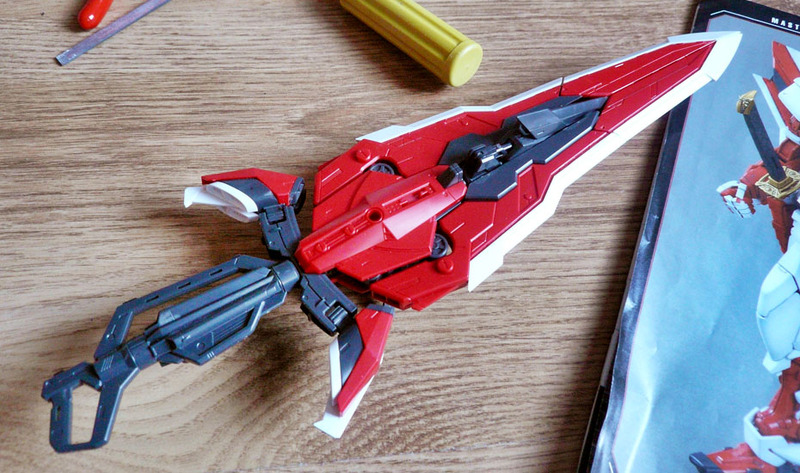 Aside from the 2 grey blades and mount for the arrow form, Red Frames Tactical Arms is identical to Blue Frames, and to this end Bandai have used the same runners for both. 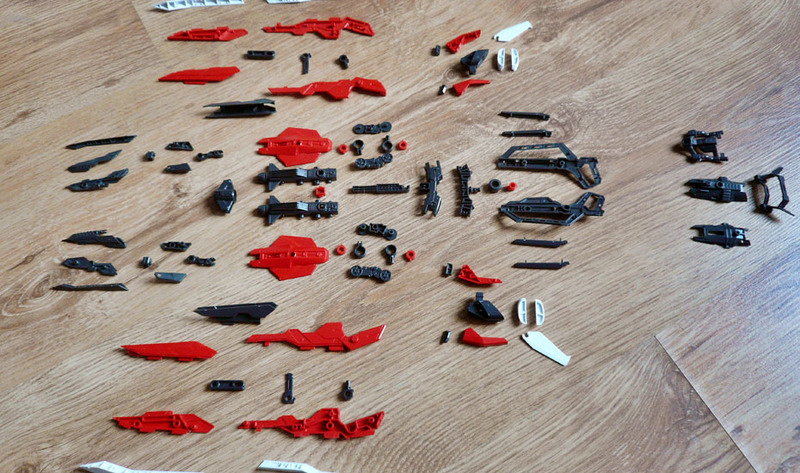 This means all the pieces are included for Blue Frames minigun and sword handle! 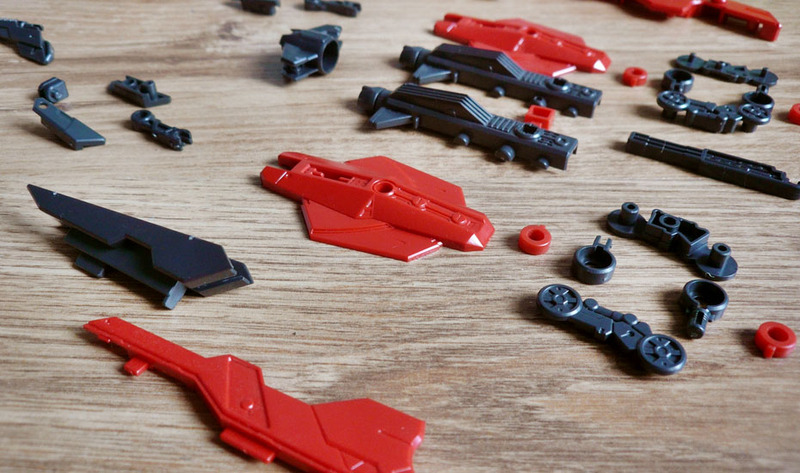 I’ve had extra bits on runners before, but this is the first time I’ve had so many which can actually be put to use, great little extra which adds tons of modding possibilities. So aside from the shoulder unit, this one’s pretty much done. Now for panel lining, decals and topcoat!